Samsung Galaxy S II. A serious competitor of iPhone 4 and the upcoming iPhone 4S. All tech gadgets blogs and websites gave this smartphone rave reviews and some even says that it’s better than iPhone 4 and iPhone 4S. Here’s an official 12 minutes++ video from Samsung that gives you a demo on what Samsung Galaxy S II can offer. One thing to note is the Kies Air feature. It turns your Samsung Galaxy S II into a web server where you can manage your media files through an interface in your computer’s Internet browser. After reading some of the reviews of Samsung Galaxy S II in the Internet, I am so tempted to get it since it might be coming to Malaysia sooner than iPhone 4S. When will Samsung Galaxy S 2 comes to Malaysia? How much will Samsung Galaxy S II be priced in Malaysia? 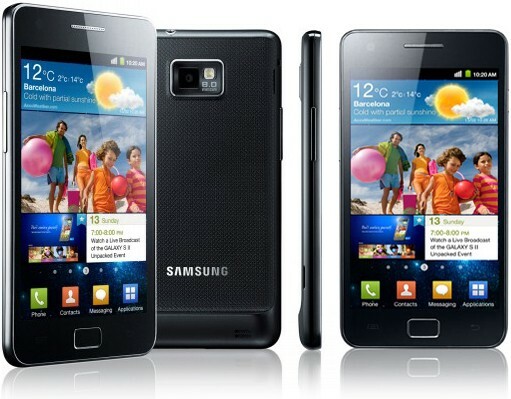 A thing to note is that Samsung has delayed Singapore’s Samsung Galaxy S II April due to the upgrade of the processor. No official launch date and official pricing for Singapore’s Samsung Galaxy S II after the delay. 🙁 Rumored price for Singapore’s Galaxy S II is around S$1000 – S$1200. It’s rumored that Samsung Galaxy S II will come to Malaysian somewhere end of May or somewhere in June 2011. The price should range from RM2,200-RM2,600. More update will come. Stay tuned! Here are the specs for Samsung Galaxy S II. It’s quite long, be prepared. 18.30 Hours Talk Time. Average at 8 hours Talk Time. 710 Hours Stand-by Time. Average at 450 hours Stand-by Time. 9 Hours Talk Time with 3G. 620 Hours Stand-by Time with 3G. * May not be applicable in some regions. * Display: “4.27” in actual measurement. iPhone 5 to Feature Larger Screen but Thinner Bezel? Next story Happy Birthday to www.johnkhor.com!!! Previous story MacBook Air Refresh Coming in June/July 2011?